Escape room An escape room has been built on behalf of the Netherlands IHP-HWRP Committee by Popup Escape, to initiate awareness and discussion on the relation between Climate Change, Migration and your own involvement. This escape room will pop-up during several events in the coming year, where the below posters will also give background and information to the players. 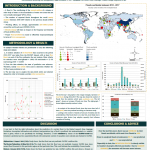 Scientific poster ‘Zika in Paradise’ This poster is part of the research results that has been delivered for the case-owners Leslie Ford and Tatiana Acevedo Guerrero from IHE Delft. Watch this video for more information. Scientific poster ‘How is Europe being informed about Climate Change?’ This poster is part of the research results that has been delivered for the case-owner Lesha Witmer on behalf of the Women Partnership for Water. Watch this video for more information. 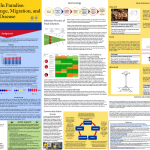 Scientific poster ‘Can applying the HLPW Principles on Valuing Water prevent social unrest and/or (involuntary) mass migrations?’ This poster is part of the research results that has been delivered for the case-owner Paul van Essen on behalf of the High Level Panel on Water. Watch this video for more information. 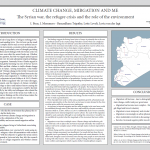 Scientific poster ‘The Syrian war, the refugee crisis, and the role of the environment’ This poster is part of the research results that has been delivered for the case-owners Ingrid Boas from Wageningen University and Research and Jelmer Mommers from the Correspondent. Watch this video for more information. 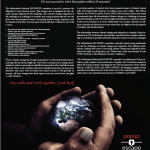 Scientific poster ‘Can floods be predicted?’ This poster is part of the research results that has been delivered for the case-owners Schalk-Jan van Andel and Maurizio Mazzoleni from IHE Delft. Watch this video for more information.